A 60-second commercial for the US Coast Guard features a returning war veteran and his family riding through our neighborhood and ‘arriving home’ on Texas Avenue SE. The video ‘Individuals with Disabilities (60 second)‘ was filmed last summer in Penn Branch and also features the new USCG Headquarters at the Department of Homeland Security in Ward 8. It was officially released last week on www.coastguardcivilian.com, the civilian recruitment web site for US Coast Guard. Honoring their commitment to an inclusive work environment, the US Coast Guard welcomes and encourages applications from persons with disabilities. Disability employment applicants for Coast Guard jobs do not have to be current or former federal employees. The :60-second commercial highlights how the Coast Guard will provide job accommodations and other related services to ensure meeting the needs for successful performance of persons with disabilities. Today, Mae H. Best, Executive Director of East River Family Strengthening Collabirative, Inc. (ERFSC), an 18 year old community based agency located in Ward 7, Washington DC, released a video capturing the essence of Ward 7 using the “Happy” song made popular by Pharrell Williams. The video was shot over three weeks at various locations in Ward 7 including Fort Dupont Ice Skating Rink, The Shimp Boat, the new Park 7 Apartments, The Nats Academy, Francis Gregory and Dorothy Height Libraries, and The Chateau to name a few. The video is very colorful and depicts fun, diverse and Happy Ward 7 residents showing their happiness in various ways. ERFSC would like to thank everyone who participated in the Ward 7 Happy Video including Mayor Vincent Gray, Councilmember Yvette Alexander and her team, the ERFSC staff, and all the stars that are too many to name. The video is being launched on ERFSC’s website, their Youtube page (EastRiverFamily) and their social media networks. The Ward 7 Happy Video was videographed by Brandon Best and Nicole Whitmire and edited by Brandon Best with creative direction and coordination by Mae H. Best, Rosie Parke and Rudy Davis. Click HERE to watch the video and visit ERFSC at www.erfsc.org. East River Family Strengthening Collaborative, Inc.
To make an impact on the times in which you live, it helps to think big. I have been pondering that more and more, and I realize that some people reach a certain place — they make money, buy a nice home, receive personal gratification — then they kick back and shift into cruise control. Then there are risk-takers like Mark Johnson. A few months ago, Johnson was a partner at the Carlyle Group, earning a six-figure salary, owning shares in the company, reaping millions orchestrating billion-dollar deals, traveling the planet and nesting in leafy McLean with fellow Masters of the Universe. The Princeton-educated 40-year-old had arrived. And it was only going to get better. Mark Johnson, grandson of Penn Branch residents Roy and Eloise Prince. He wanted to start his own private equity boutique firm in the technology space. Why? Why throw caution to the wind and lean in? Johnson has been thinking big since his hour-long bus and Metro commutes from his home near Minnesota Avenue to St. Albans School in Northwest D.C., educator to sons of senators, ambassadors, doctors and millionaires. His mom and dad saw education as the path out of Anacostia. The working-class family — his father was delivering the Wall Street Journal from a truck the day Mark was born (the air controller job came later) — helped secure him a spot at Ben Murch Elementary in Northwest D.C., known as one of the better public schools in the city. Then his mother hustled to fill out applications for St. Albans, where his mother’s joy at his acceptance stays with him to this day. He got financial help from the school, but his parents had to sacrifice to make it work. Instead of sowing resentment, going to school alongside the “haves” made him want to get there himself. He captained St. Albans’s lacrosse and swim teams, was president of his senior class, then went to Princeton where he earned his bachelor’s in economics and was a member of a lacrosse team that won two national championships. After college and stints at Merrill Lynch and a small private equity firm, he attended Harvard Business School. He joined Blackstone Group, a rival of Carlyle, in 2001. William Kennard, a former chairman of the Federal Communications Commission and a partner at Carlyle at the time, recruited Johnson from Blackstone in 2004. When he arrived at Carlyle’s office on Pennsylvania Avenue, there was a file on his desk indicating that he was going to Tokyo to buy a wireless company. “I spent the first five years shuttling between D.C. and Tokyo,” Johnson said. He took quickly to private equity and grasped that its model of buying, improving and selling companies was not far afield from his mother’s job of helping disabled people hold jobs and become more productive. “At the end of the day, what we do is take ideas and turn them into execution,” he said. Which is what he did at Carlyle, piling up an impressive list of deals, including the purchase of Syniverse Technologies, which processes payments for wireless companies. “It’s the Switzerland of the mobile Internet,” Johnson said. He joined Carlyle’s prestigious U.S. Buyout Fund. He made partner, where the really big money resides. He worked with Carlyle’s biggest names: Dan Akerson (who became chief executive of General Motors) and co-founder and investment chief Bill Conway. He joined another select group — one of the few financial types playing in the sandbox of billion-dollar deals who were of African American descent. “There were very few of us,” Johnson said. After Kennard left Carlyle to become the U.S. ambassador to the European Union in 2009, the two stayed in touch. When Johnson visited Brussels on business, he broached an idea he had of starting a private equity fund with Kennard. Johnson’s idea was to take his expertise at deals and combine it with blue-chip names like Kennard and former Alltel president Kevin Beebe. Their niche would be smallish investments of $20 million to $50 million, compared with the billion-dollar infusions he was accustomed to at Carlyle and Blackstone. “I had noticed smaller and smaller companies needed access to global relationships and industry insights that smaller private equity firms could provide,” he said. He decided to take the leap last August during a seven-day trek with friends up 19,000-foot Mount Kilimanjaro, where he was celebrating his 40th birthday. Sitting on the mountain, the tallest in Africa, he decided to go for it. He brought on Kennard. He brought on Beebe. 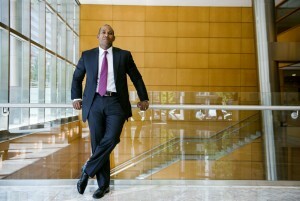 Johnson is the managing partner and owns a majority of the business. He sublets space on K Street and is in the midst of refining a strategy and pursuing a few deals. One thing he is sure of is that Astra will operate in the space where Johnson has the most familiarity: communications and technology companies that serve other businesses. Payment processing, information services, mobile communications, broadband, technical services — those things you never see that allow you to download your favorite Web site from your mobile device anywhere in the world. It isn’t going to be a cakewalk. He knows that. They haven’t even started raising money, which will come from the usual private equity sources: pension funds, foundations, universities, high-net-worth individuals. Maybe even Carlyle. But it’s not about money. It’s about going after the next big thing in his life. Johnson said he feels a need to create a return for those who invested in him. By the way, Johnson is “of” St. Albans now. He sits on its governing board. Our new Penn Branch Executive Board was sworn in during the Penn Branch Annual Dinner Dance. The new officers were given their oath by long-time Penn Branch resident Laura Richards, Esq. The new officers promised to execute their duties to the best of their abilities, and with an “I do” there terms begun. PBCCA President Jimmie Williams said, “We’re very pleased to take the reign as community stewards, and look forward to strengthening Penn Branch, and building community engagement and interaction.” Vice-President, Roy Ward said, “we plan to actively engage and work as neighbors while simultaneously working with neighboring communities to become more than areas ‘east of the river.” The new officers, also include; Valerie Francis, Treasurer; Gerri Washington, Recording Secretary Angela Hammond, Correspondence Secretary; and, Paul Grant, Parliamentarian. Learn more about our new board members! Our thanks and gratitude to the past executive board for their hard work, late nights, and commitment over the past two years to advance the community: Kweku Toure, Esq., president; Ayanna Smith, vice president; Lisa Baker, recording secretary, Jimmie Williams; treasurer/correspondence secretary; and, Richard Hawkins, parliamentarian. Also, a special thanks to all the residents of PBCCA who served on committees, volunteered at events, attended hearings and meetings, and especially the Block Captains for being the eyes and ears of the community. 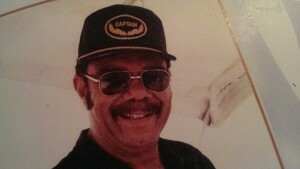 The Penn Branch community celebrates the life and mourns the loss of long-time resident, Lt. Colonel Buffington E. Falls. Buffington Falls was buried with full military honors at Arlington National Cemetery on Tuesday, July 8, 2014. We extend our sincere condolences to his loving wife Janet and their many family and friends. The family has provided this list of Colonel Falls’ favorite charities for any one who wishes to make a donation in his honor.